The conclusion? It’s this very dilemma that makes cornbread so versatile. It can successfully go either way. So follow your mood and just go with it! Usually, folks veer more sweet than savory, topping homemade cornbread and corn muffins with honey butter. But sometimes it’s an adventure to dabble in the savory territory, adding actual corn kernels, smoky chipotle powder, or even chopped roasted poblano peppers into the batter. Either way, though, cornbread makes great leftovers. It’s good for breakfast slathered in marmalade and yummy at lunch topped with black beans and salsa. And for dinner I like to crumble and toast it, then sprinkle it with shredded Cheddar cheese atop bowls of our homemade chili. Always check your cornmeal for rancidity before baking; rancid smells stale and musty; good cornmeal smells sweet. Avoid the electric mixer. Mix by hand instead, to avoid over mixing. You want a few lumps in the batter. They’ll hydrate during baking and will help give a craggy appearance to your breads. Once moistened, work quickly. Moisture activates the leaveners in the batter. If you want crusty cornbread, use a dark pan. And for the crustiest cornbread, use a skillet. Cornbread doesn’t keep well long-term. It does well the day baked and the next day, but that’s it. For next-day use, wrap leftovers in plastic, then foil and place them in the refrigerator. Cornbread can be frozen for six weeks. When making corn muffins (or any muffins), partially fill any empty tins with water. The moisture will improve the muffins, the tins will heat more evenly, and cleanup is easier. Consider sugar a variable. A sweeter cornbread will have 1/4 cup sugar or more for every one cup of flour and one cup of cornmeal. 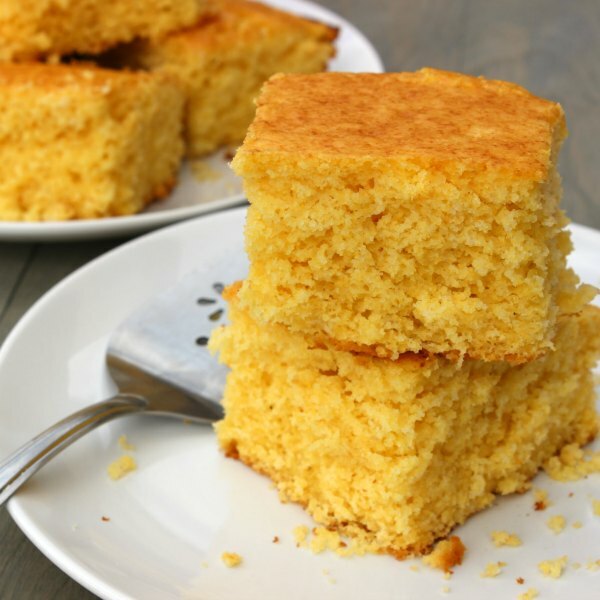 Many southern style corn breads have little or no sugar. Consider substituting whole wheat flour for white flour. 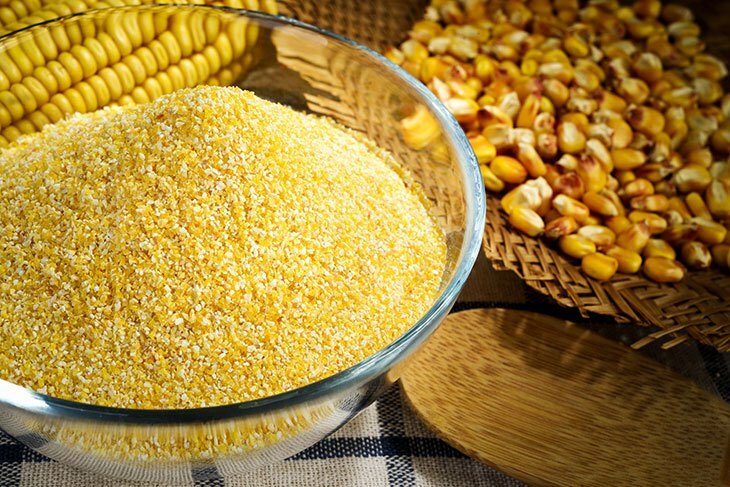 With the grainy nature of cornmeal, your kids won’t even know that you slipped whole wheat in on them. Typical recipes call for cornmeal and flour in a one-to-one ratio. 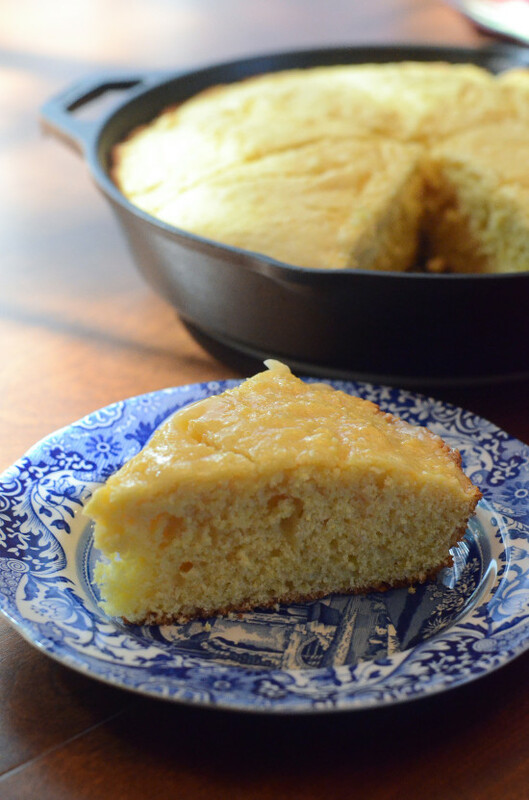 Some skillet corn breads omit the flour and use extra eggs. This version is not only very good, it’s good for you and a delicious option for those who are gluten intolerant. If making cornbread for stuffing, it can be baked up to three days ahead. Then crumble it and store in an airtight bag. Consider adding sage to cornbread batter. Preheat oven to 375°F. Melt butter with ginger in medium sauté pan. Cook apple slices in pan until crisp-tender, about 5 minutes, stirring often. Add sugar, cinnamon, and salt. Cook and stir another minute, then remove from heat. Make a pan liner out of parchment: Trace the bottom of a 9-inch cake pan on parchment paper. Cut out the circle and use it to line the inside bottom of the pan. Spray the whole inside of the pan with cooking spray. 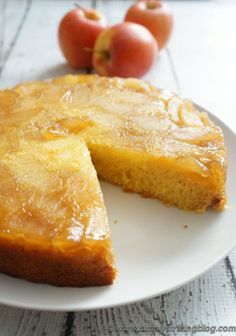 Scrape apple mixture, including the syrupy sauce, into the prepared baking pan, spreading the slices out along the bottom of the pan and set aside. Make the cornbread: In a medium bowl, whisk together cornmeal, flour, baking powder and salt. 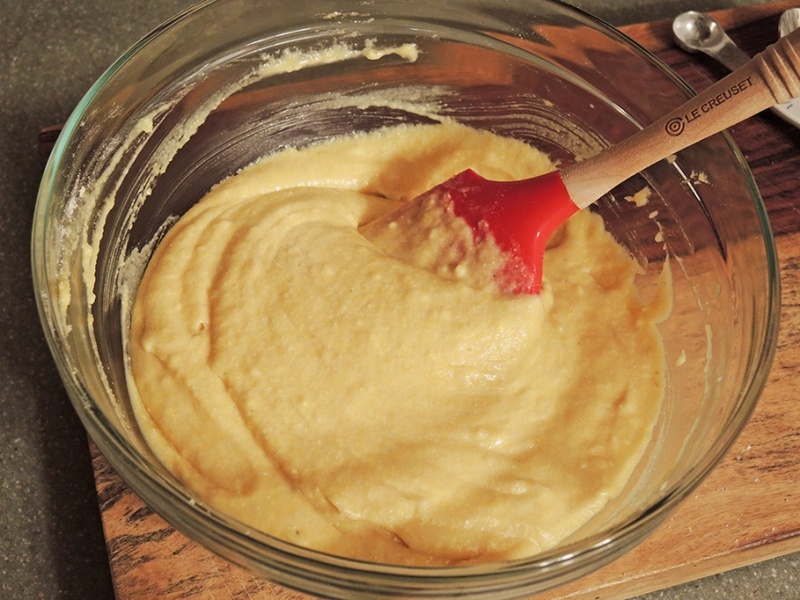 In a small bowl, whisk together eggs, applesauce, brown sugar, milk and melted butter. Pour the wet ingredients into the dry ingredients; stir just until combined. Pour batter into baking pan, atop the apple mixture. Bake until corn bread springs back when light pressure is applied, about 30 minutes. Let corn bread cool for at least 30 minutes before inverting, removing parchment and serving, apple-side up. Serving suggestion: top with sweetened whipped cream, or a dab of sweetened cream cheese, or even vanilla ice cream!